New Zealand is considering changing its flag, which was adopted in 1902 and looks similar to the Australian flag. It depicts Britain's Union Jack in the top left corner, which refers to a colonial past that many New Zealanders would rather forget. Other New Zealanders, particularly veterans who have fought under the current flag, would like to keep it. 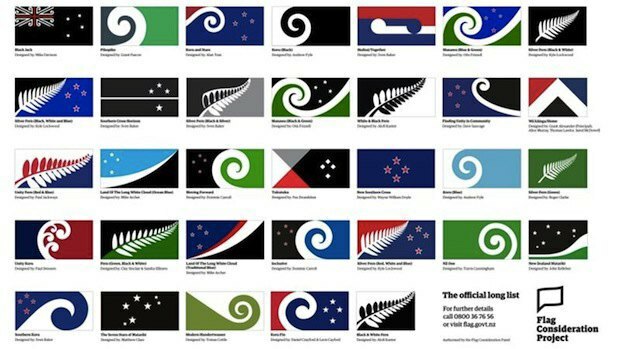 A government-appointed committee has picked 40 flags out of 10,292 that were submitted by members of the public. The committee will choose four final flag designs by mid-September. New Zealanders will vote for their favorite in a November referendum. Then, once the favorite is chosen, it will go head to head with the current flag in a second referendum in March. The New Zealand flag has been changed twice. The first flag was chosen in 1834 by the Maori, the indigenous Polynesian people of New Zealand. It is now known as the Flag of the United Tribes of New Zealand. After the treaty of Waitangi was signed in 1840, the Union Flag "Union Jack" became the official flag of New Zealand. The New Zealand Ensign was officially adopted in 1902. By law, the New Zealand flag can be changed simply by a majority of parliament. But, in this case, the government has said decisions on the flag should be made by the voting public. Changing the national flag today is estimated to cost $17 million in New Zealand.